These are posted as download-able pdf files which can be viewed with the free Adobe Acrobat Reader available at Adobe.com. Mapmaker Ben Pease has allowed us to publish a version of his Pacifica Trail Map to benefit the Land Trust. Get this handy 11x17 folded map and help the PLT at the same time! $10 or free with any donation to the PLT. Trail Map use Donated by Pease Press Maps. www.peasepress.com. Great Blue Heron, San Pedro Creek Restoration Poster. In honor of the countless other waterfowl who now have their “watering-rights” restored, we’ve produced this handsome commemorative poster. It is available from us, or the Pacifica Land Trust. The 18x24 inch full color poster is $20 (plus tax and shipping of $7.65, proceeds to benefit the Pacifica Land Trust and our continuing projects. 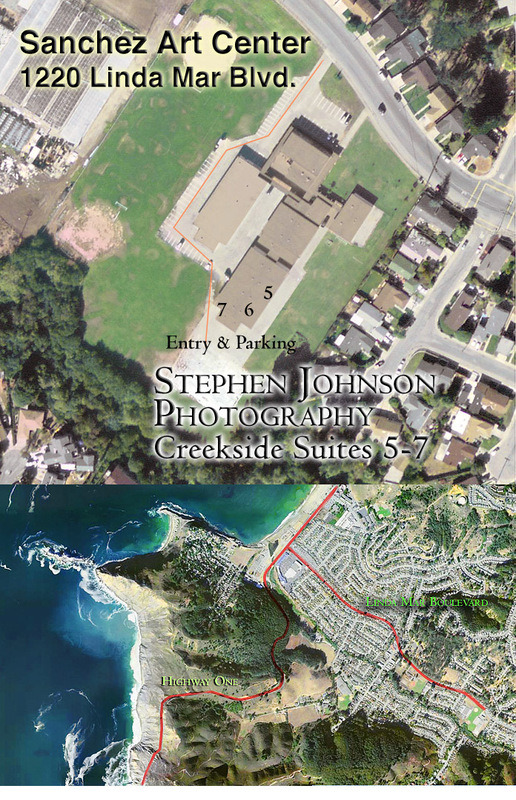 This limited edition poster is available from Stephen Johnson’s Gallery at 1220-C Linda Mar Blvd, Creekside Suites 5-7. Stop by his studio (or go to the web at www.sjphoto.com) and purchase a copy of this poster before they sell out!